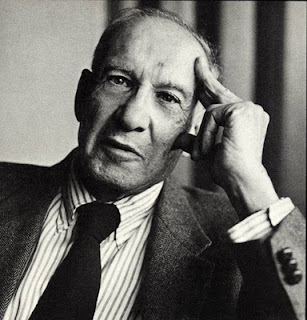 PETER F. DRUCKER WAS BORN IN AUSTRIA IN 1910, and would have completed a century this past Nov '09. It was celebrated all over by "Duckerites", among which one IIM professor said - if you have some time that you want to spend in a gainly manner then simply flip open any of Peter Drucker’s books and start reading. “Classic Drucker ” was at an arm's length at that time and was worth giving a try. Apparently, the prof was right. What follows now is a brief intro before the main business. Originally, an investment banker from London, Drucker was first published in German in 1930. He then went on to write 39 books on management and wrote editorial for WSJ for 20 years. At the height of the financial chaos, one WSJ issue carried his picture on the front page titled "What would Peter do?" – as if the question was being put to, if you may, a body of knowledge collectively known as Peter F. Drucker. Drucker was also titled "the father of modern management". His writings have remained remarkably relevant up to and beyond Y2K era, at times touching daily life ; his lessons in leadership and managing change offered a very fresh thinking; his passion towards non-profit organizations were of a true spirit; his “predictions” of corporate events such as fall of General Motors – which he actually helped build in 1950's, make him stand ahead of his time. Same as most of visionaries, perhaps. But if one is looking, there is a pattern to be found in Drucker’s digests – the advices pertain to the fundamentals, they encompass overall entropy of the system and urged to find solutions by referring to the organism’s inherent nature, and they were kept simple, brief and generic at times by cleaver wordplay. What shall follow is a three-part series wherein some from Ducker's best of articles would be featured. A humble tribute [update] starting with Managing Oneself where Drucker sets goals, objectives and responsibilities for the Knowledge Worker.